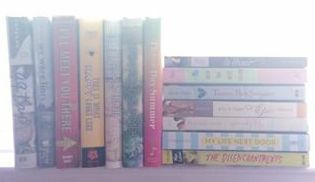 I have a soft spot for summer-set YA, and below are some of my favorites. If you haven’t read these, spread a beach towel, pour an icy drink, and thank me later. Great list! There are several titles that have been on my TBR-list FOREVER and I need to get to them already! Perfect! Thanks for the list, Katy! I haven’t read nearly enough of these. Great list, Katy! I love 99 DAYS and TWENTY BOY SUMMER. 🙂 IN HONOR and AMY & ROGER are on my TBR – can’t wait to dive in! Oh my gosh, Kaitlin — you will love IN HONOR and AMY & ROGER! They’re both road trip stories about awesome girls and swoony boys. Two of my faves! Can’t wait to hear what you think!